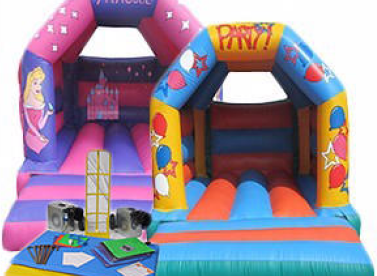 For larger inflatables and bouncy castles, or if you just want a quicker deflation time on standard size bouncy castles you can either add a couple of zips which will obviously release the air quicker from the inflatables/bouncy castles or there are fans available which not only inflate but they also deflate too. Unfortunately Premier Inflate don't currently stock or sell these deflation fans however we know they are available in the UK. If you wanted to place an order with us Zips do not come as a standard so please notify us when ordering so we can add this to your order.